Still searching for Optimus, But this is what I managed to get. Any on Soundwave and the other Seekers? Optimus Prime is here!, So for those who have been searching, Here is what I was able to get. Man that looks so good!!! That\'s not a broken coffemaker. That\'s one of those potato peelers. Not Video. But adam.glam on instagram have them. Bumblebee's Cybertron is probably my favorite depiction of Cybertron ever. 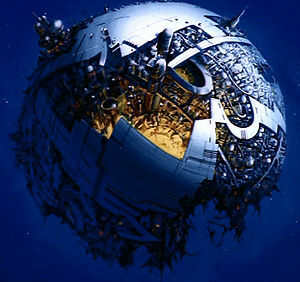 Somehow it manages to actually look like a proper planet, while still being recognizable as Cybertron from the cartoon. It's just a great design. Plus, the way the yellow glow was used as a light source for surface shots was brilliant and beautiful. I do like the WFC/FOC take on it also. I think it's a neat modernization, although I miss the yellow glow. It works as a more subdued and gritty design though. I don't like the DOTM hexagon Cybertron. Despite the fact that it's a live-action movie, it ironically feels the least tangible and realistic to me. It feels like some kind of alien superstructure the Enterprise crew would encounter, but not an inhabited planet. If there was more to the backstory I might be able to get into it (like, maybe if it was an ancient superstructure the Transformers took refuge on), but as a Cybertron design it's kind of bland. Helps that they made the surface look like it has buildings and roadways. makes ya think "yeah, I can see prime and bee living here"